Hail, Caesar! DVD and Blu-ray release date was set for June 7, 2016. 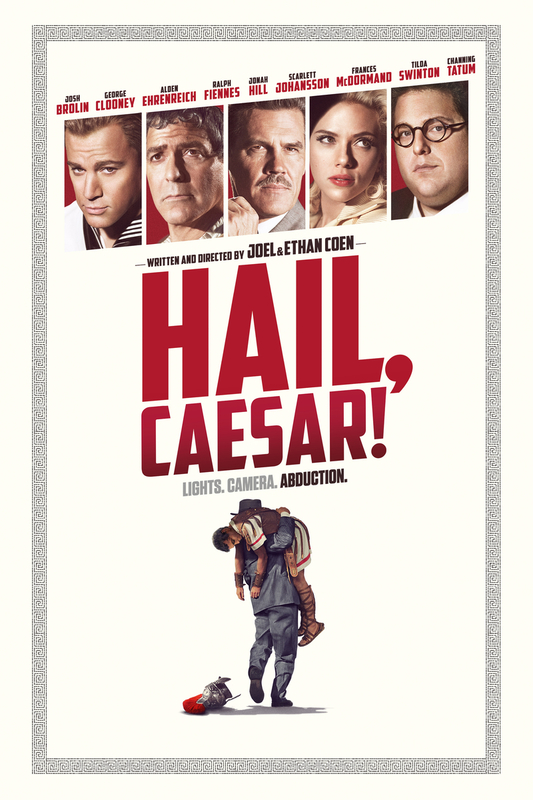 During the production of a film titled Hail Caesar, lead star Baird Whitlock is kidnapped. A group referred to as "The Future" leaves behind a ransom note, demanding $100,000 for the safe return of Whitlock. Hollywood fixer Eddie Mannix is dispatched to investigate Whitlock's kidnapping and gather money to pay the ransom. Along the way, Mannix must deal with other studio clients and important figures. He's responsible for the clean image of each client as the fixer. Gossip columns catch onto Whitlock's disappearance without knowledge of the actual kidnapping. While dealing with the ransom demand, Mannix must throw the gossipers off the trail.